The Island's parliament has elected a new President. Garff MHK and Speaker of the Keys Steve Rodan was voted into the figurehead role by Tynwald members meeting for the last session of the current parliamentary year (19 July). Treasury Minister and Ayre MHK Eddie Teare was also put forward, but fell short of the simple majority required - Mr Rodan winning by 16 votes to 12 in a secret ballot. There were two spoilt papers. Mr Rodan has been an MHK for the past two decades and Speaker of the House of Keys for 10 years. He was nominated by Rushen MHK Phil Gawne who described him as impartial and fair, a man committed to Manx public life and the Manx language, and an excellent ambassador for the Isle of Man abroad. 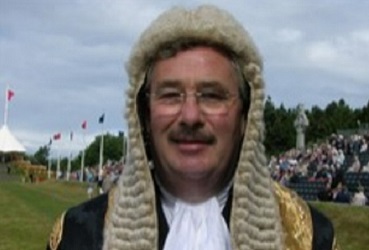 Mr Gawne said Mr Rodan had the experience needed to preside over Tynwald for the next five years and keep the court 'on track' in difficult times. The election was prompted by the retirement of Clare Christian.